Raspberry Pi 3 is a single board computer the size of a credit card that was released in February. It has a faster processor, improved connectivity and is supported by Windows 10 IoT core. The third generation Raspberry Pi 3 comes with a built-in wireless network of type 892.11 b/g/n that enables data speeds up til 150 Mbps. The new 64-bit BCM2837 processor from Broadcom has four cores. Test results indicate that it’s 30-50% faster than the second generation although the Raspberry pi foundation claims even higher performance gains. The ports are the same as for Raspberry Pi 2 and include HDMI, USB 2.0 and 3.5 mm audio and video. Support for Bluetooth 4.1 connectivity has been added. The dimensions, design and layout remain the same as previous versions. 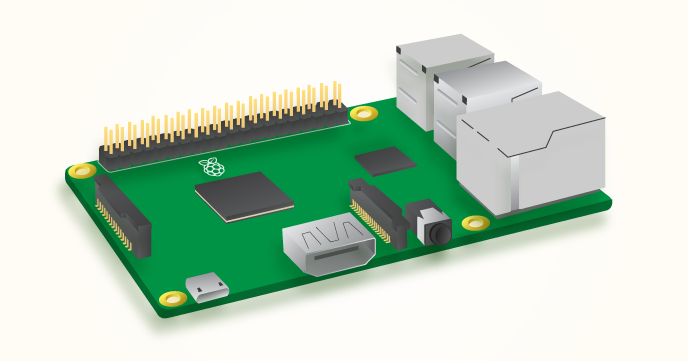 Thus, existing Rasperry Pi users can seamlessly upgrade to Raspberry pi 3 without having to worry about fitting the pieces together. The price remains unchanged at US$35. The focus for most single board computers is Internet of Things (IoT). Communication between devices and appliances enable smarter homes and many new applications. Microsoft’s Windows 10 IoT Core version is free of use when developing applications using Rasperry Pi 3. 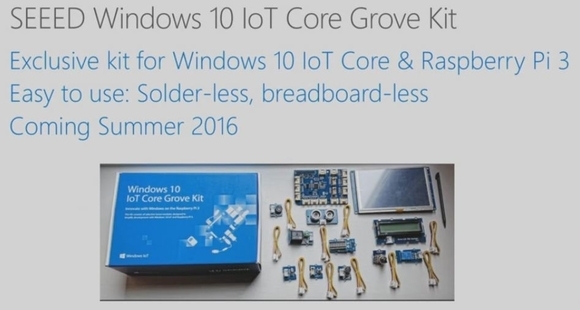 Microsoft recently also announced a development kit called Seeed Windows 10 IoT Core Grove Kit. The kit contains the hardware and software required to develop cool applications including a small screen, a breakout board, connectors and cables. Do you have some ideas of for innovative IOT applications? Then this kit will come in handy.